Sindhu, who had lost her last two matches in the PBL against Sung Ji Hyun and Beiwen Zhang, emerged victorious 11-15, 15-9 and 15-5 win. 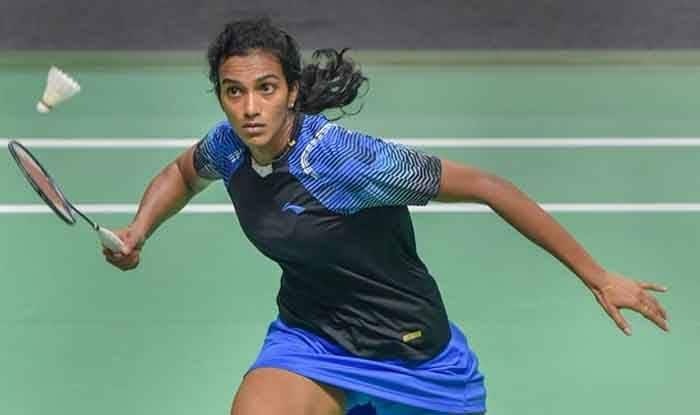 PV Sindhu began the new year with a win over Saina Nehwal and Mark Caljouw defeated North Eastern Warriors trump Tian Houwei to give Hyderabad Hunters their third win in Premier Badminton League on Tuesday. The victory means defending champions Hunters would end the Pune leg of the cash-rich tournament on top of the leader-board. While the match was important for both teams in their quest for the semi-final spot, the added attraction for the fans on the first day of the new year was the clash between India’s two shuttle queens, Saina and Sindhu. Sindhu, who had lost her last two matches in the PBL against Sung Ji Hyun and Beiwen Zhang, emerged victorious 11-15, 15-9 and 15-5 win. Saina, who had sat out the earlier three matches of North Eastern Warriors due to a shin injury, was not 100 percent and was seen struggling for stamina following long rallies. But the way she fought back from a 7-10 deficit to clinch seven straight points and then wrap up the opening game showed that the former world number one was not going to go out without a fight. However, Sindhu managed to raise the tempo in the second game as she raced to a 8-3 lead and though Saina fought back to close the gap to 6-8, the 23-year-old Olympic and World Championship silver medallist always looked in control. Saina looked tired in the third and final game and Sindhu dominated the proceedings thereafter as the Commonwealth Games gold medallist struggled to lunge towards her forehand and lost the decider rather easily. Caljouw, who is unbeaten in the tournament so far, had to overcome a strong comeback from Houwei in the second game to to win 15-11 15-14. The Dutchman had raced through the opening game and looked in complete control when he took a 10-6 lead in the second game. But Houwei wasn’t giving up and engaged Caljouw in long rallies to clinch four straight points to level the scores. It was a battle of attrition from thereon as the players stayed neck and neck with Caljouw having the final laugh after Houwei’s lift sailed long after one of the longest rallies of the match. Earlier, the experienced Lee Hyun Il got the Hunters back into the contest from the brink as he fought back from a game down to win her trump against Tanongsak Saensomboonsuk. With the Hunters trailing 0-1 following the 8-15, 14-15 loss of Kim Sa Rang and Eom Hye Won in the opening mixed doubles match against Kim Ha Na and Liao Min Chun, Lee had to win the team’s trump. And it looked an arduous task when Tanongsak dominated the opening game and looked on a roll. But the 38-year-old Lee showed why he is still considered the most dangerous opponent on the circuit as he moved his Thai opponent all around the court to take a 7-1 lead in the second game and then held on to the advantage to force a decider. Tanongsak seemed to lose steam after the Lee masterclass in the second game and was always chasing the game in the decider and the Hunters earned two points with a 10-15 15-13 15-9 win before Saina and Sindhu took the court for the Super Match of the day in front of a packed stadium.